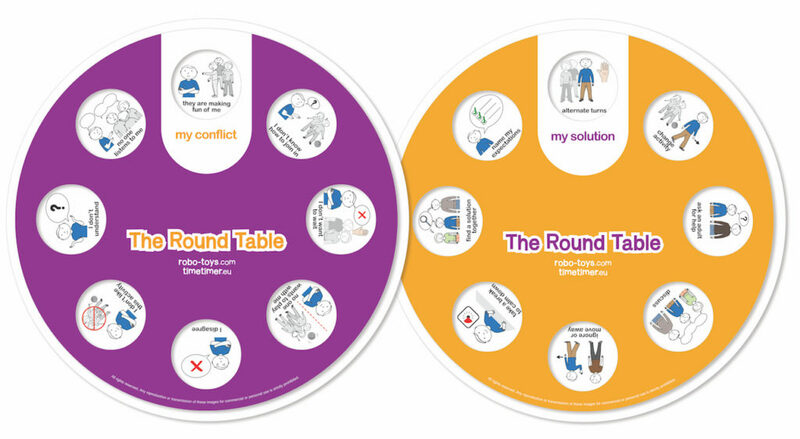 The round table wheel is a 2-sided swivel wheel that helps children to manage conflicts and quickly nd a solution. With 8 conflicts on the front and 8 solutions on the back. Easy to handle. Ø 23 cm. Ref.nr. 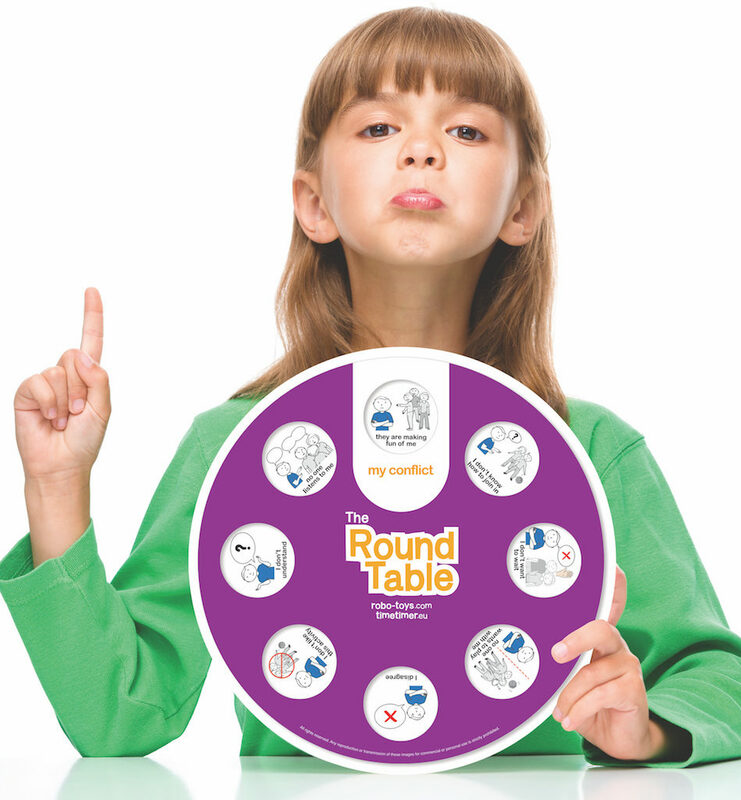 R4002 – The round Table available in Dutch, English and German language. Available NOW!